Newly imagined Alert Management within FRUN, open to integration at both Inbound and Outbound, insightful and responsive user interfaces. 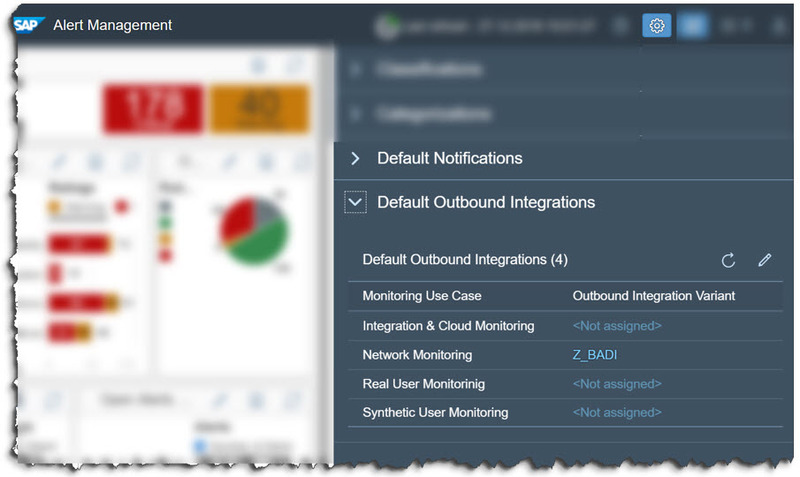 Part 5 takes a short look at the Notification and generic Outbound Integration mechanisms. In the Part 4 of this series, we went through the flexible and powerful Alert Reporting. We also observed the utility of Custom pages. In this Part 5, the final one for now in this series, it would be a short look at the Notification and generic Outbound Integration mechanisms that AEM comes up with. 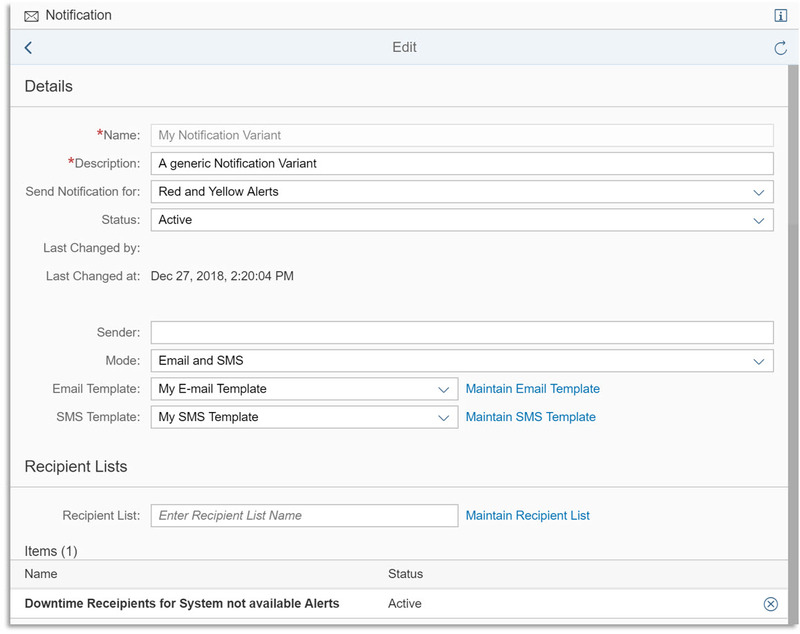 Alert Management would not be complete without the possibilities of Notification (e-mail, SMS and so on), and even better, an open interface for generic Outbound integration. AEM includes these two mechanisms, indeed. AEM uses what it generically calls “Alert Consumer Variants” for allowing the end users to pre-define meta-information required to carry out notification and outbound integration. These variants are defined, maintained via a dedicated and simple application that may be launched from the FRUN launchpad. 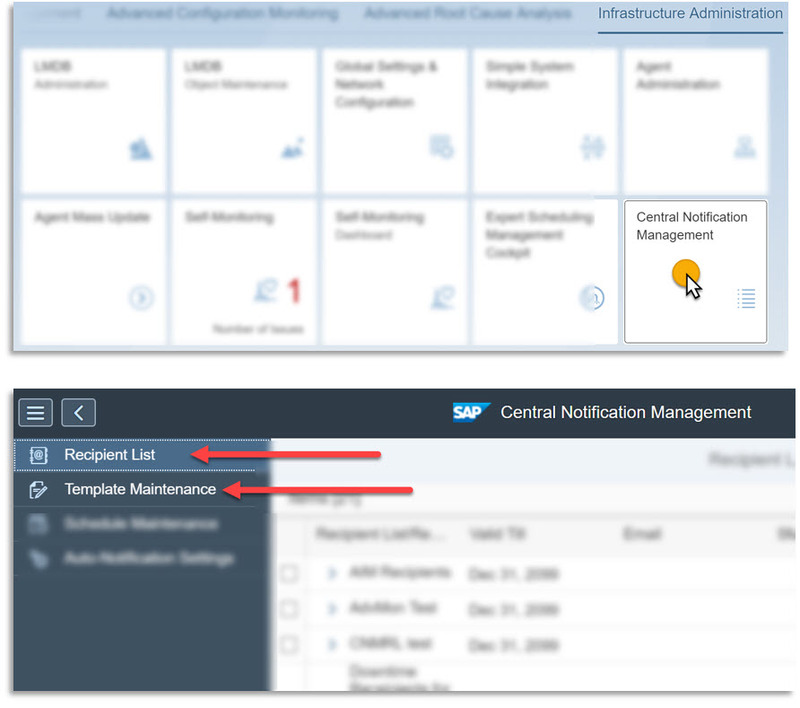 One or more Notification variants may be created and maintained in this page of the application. All existing variants are listed in a simple tabular form. The Recipient lists, Notification templates for (e-mail or SMS) may be created and maintained through Central Notification Management (CNM) of FRUN, not detailed here, but included are the screenshots of entry points for CNM applications. Once the Notification variants are prepared, for each monitoring use case that sends alerts to AEM, a default variant may be assigned. This is done via the Configuration menu on top of AEM home screen. 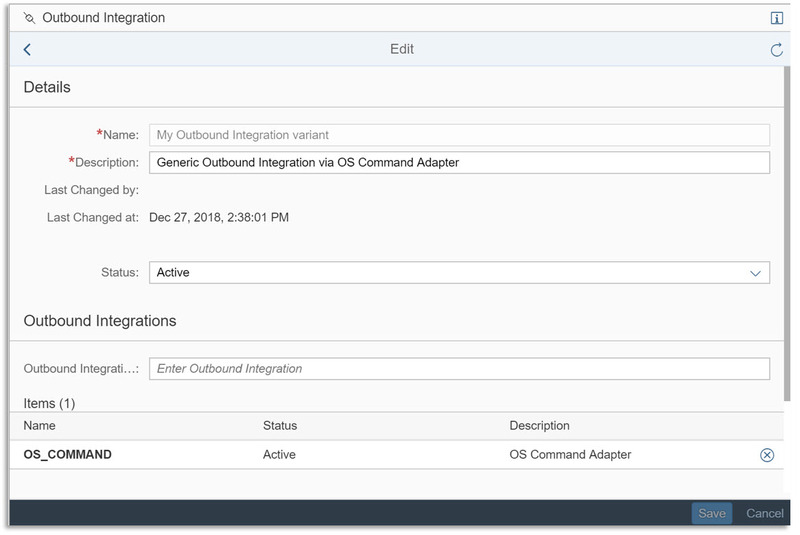 One or more Outbound Integration variants may be created and maintained in this page of the application. All existing variants are listed in a simple tabular form. Each Outbound Integration variant includes, other than its name and brief description, the reference to at least one implementation of the BAdI detailed in a document found in the FRUN expert portal. 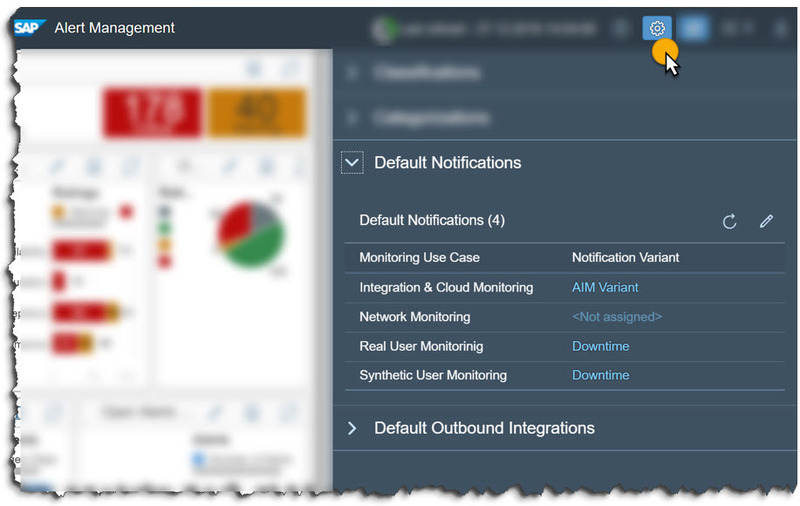 Once the Outbound Integration variants are prepared, for each monitoring use case that sends alerts to AEM, a default variant may be assigned, like we observed for the notification variants as well. Well, that brings us to the end of this series on Advanced Event & Alert Management included in Focused Run. As mentioned upfront in the prelude, AEM is still evolving and there could be further changes and will be more extensions in future versions. We would keep you posted!